Your guests will love this Blue Baby Shower Punch Recipe. It's fizzy and frothy with a hint of sweet pineapple! Pour Blue Hawaiian Punch and Pineapple Juice into punch bowl, and give it a stir. Add 10 scoops of Vanilla Ice Cream to punch bowl. Pour 2-liter of Sprite over ice cream scoops and watch it foam! 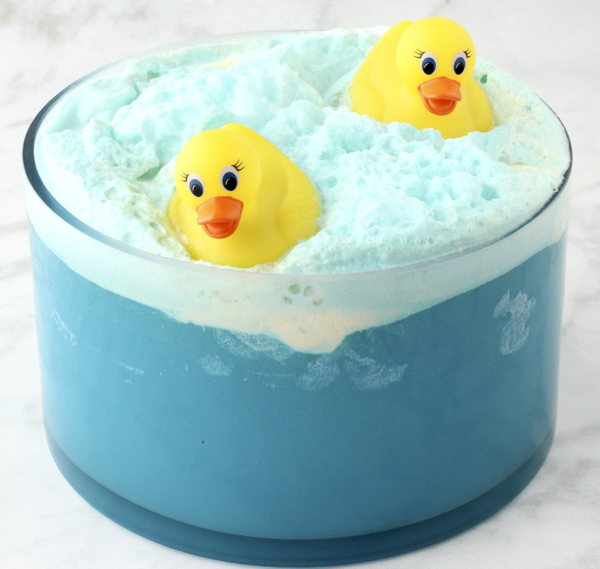 Add Rubber Ducks to float around and you're done! Enjoy!